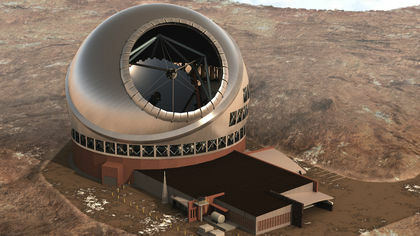 The Thirty Meter Telescope is a planned extremely large telescope designed for visible light and near-infrared observation that will be built on Mauna Kea summit, in Hawaii. The project, started in the early 1990s, is being done in collaboration by United States, Canada, Japan, China and India. The primary mirror of the telescope will have a diameter of thirty metres and will consist of 492 hexagonal mirrors of 1.44 metres each, two millimetre maximum apart. This exceptional configuration will allow a light gathering ability that is 10 times greater than that of the largest actual telescopes. With a high-performing adaptive optics system, it will be possible to achieve a resolution power 10 times greater than Hubble in near-infrared. 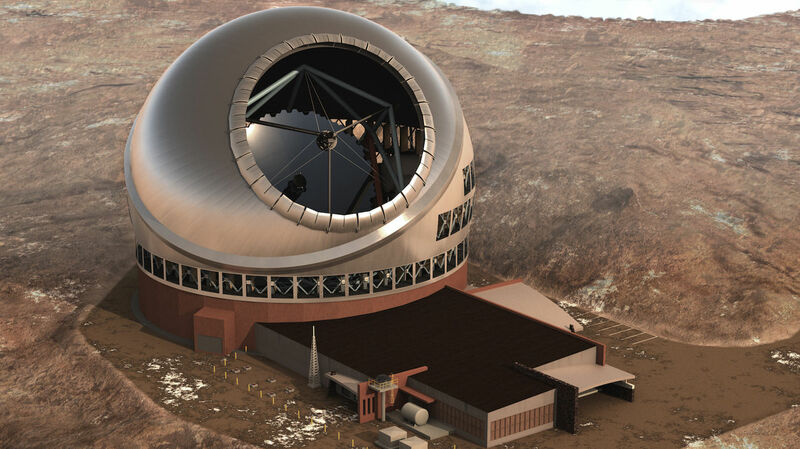 The Canadian Government has committed a contribution of up 243.5 million dollars over 10 years to the Thirty Meter Telescope project. Canadian astronomers and engineers will be involved in the design of some specific scientific instruments, including the adaptive optics system. The dome structure will be constructed by a specialized Vancouver company. Once the construction completed, which should be around the middle of the next decade, the Thirty Metre Telescope will be one of the most powerful telescopes in the world. It will complement observations carried out at the Spatial James Webb Telescope and the Atacama Large Millimeter Array.